This post shows you how to setup and configure your XBMC Media Center on a Windows 7 HTPC. The Asrock Vision products come with a 2.5″ 750GB HDD and also has a 2nd slot for another SATA3 HD. Since I store all my media on my Synology DS212J NAS I used the free slot to install a Crucial m4 SSD 128GB on which I’ll install Windows 7. To install the 2nd HD just follow the provided instructions. Windows Remote Desktop is included in every Windows installation and can be used without a big setup. Just be sure to enable the Remote Desktop Firewall exceptions on the HTPC under Start | Control Panel | System and Security | Windows Firewall | Allow a program or feature through Windows Firewall. Now you will be able to login to your HTPC remotely. Just click on the Windows Start-Button, type Remote Desktop and click on Remote Desktop Connection. If you have trouble doing so please see the Windows Remote Desktop Connection FAQ. There’s even a video which shows how to do it exactly. Note: Windows Remote Desktop logs you off Windows on the HTPC when connecting to it. So it is not suited to demonstrate something to your friends which are looking at the TV. RealVNC is able to mirror the Windows Desktop and does not log you off Windows to do so. There’s a free edition of RealVNC which does not allow you to encrypt the connection between the PCs though. For more information on RealVNC and it’s features check their website. To set it up have a look at their documentation. After installing Windows 7 we will configure it to automatically log in even if the user has a password. Uncheck the box Users must enter a user name and password to use this computer. Since my media is stored on my Synology NAS I created the following batch file to connect the network drives at startup. Create a file called xbmc_shares.bat paste the content below into it and place a shortcut to the file inside startup folder C:\ProgramData\Microsoft\Windows\Start Menu\Programs\Startup. This is useful for easier access in XBMC and if you have HDD Hibernation enabled on your NAS because it will wake up the HDD if it is sleeping before you try to play a movie from XBMC. If you try to play a movie from a sleeping HDD XBMC will tell you that the file is not available and ask if you want to delete the library entry until the HDD is awake. Go to the XBMC website and download the latest stable release. Follow the installation instructions, startup XBMC. To add media to the XBMC library follow these instructions. Tip: When configuring the TV Shows scraper enable Prefer Posters in the settings. Your series library will look nicer than with banners. For this to work the setting Skin | General | Use “Posters” instead of “Banners” for TV Shows has to be enabled too. You can change the poster by right clicking the current series poster, selecting TV show information and then clicking Get thumb. Below are my personal settings. Download the XBMC Launcher from here and install it according to your needs. Check this post for an explanation of the install options. After the installation XBMC Launcher will be configured to repeatedly request focus of XBMC every 10 seconds. To temporarily disable this and be able to configure the launcher press [Win] + [F9]. I configured my launcher to startup XBMC with Windows and to request its focus only once after 10 seconds in case it gets minimized because of other starting services. Since the Asrock VisionX comes with a Windows Media Center remote we already have an IR-Receiver and only need to configure the Logitech Harmony Remote. To setup the remote follow these steps. If you have trouble setting it up check out their wiki. 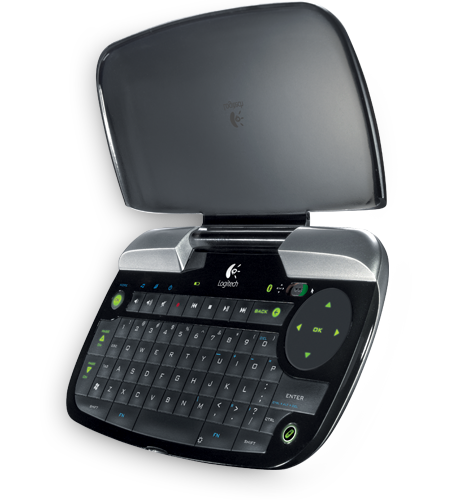 The Logitech DiNovo Mini comes with 2 modes. One media center mode with arrow keys for easy navigation inside XBMC and one mode with a touch pad to easily navigate in Windows. The keyboard works right out of the box with XBMC. There is no configuration needed. If you want to remap the MediaCenter-Key on the bottom right of the keyboard take a look at http://uberoptions.net.